Single-line, white correction film is fast, easy to use and clean. It goes on smooth and dry so you can write on it immediately and instantly fax or photocopy without shadowing. 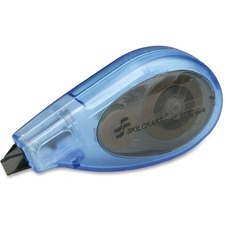 Correction film dispenser offers an adjustable tip. Dispenser is nonrefillable.